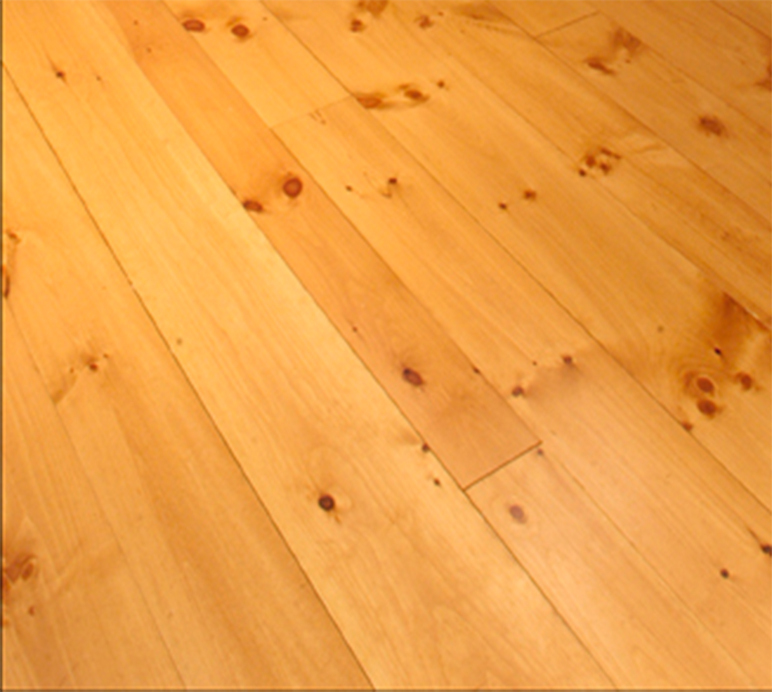 Wide Plank Eastern White Pine Flooring has been a staple in the Bingham family for over 69 years. Harvested from Northeastern White Pine timber, our white pine flooring is produced in a few choice grades. Our select grade white pine will feature small pin-hole knots, varying grain patterns and a crisp white appearance. Our more traditional Sawyer’s Cut grade will contain varying degrees of sound, tight and red knot structure, varying grain patterns and a creamy white appearance. Eastern White Pine is our widest plank flooring option available and can be textured, distressed or stained to give an antique or “worn” appearance. Bingham’s wide plank Eastern White Pine is harvested from mature Northeastern U.S. white pine timber, milled and produced in New England. Many antique New England homes feature wide plank white pine floors that show years of wear and a natural aged glow. Traditionally these floors were painted, coated with a heavy polyurethane or left unfinished and allowed to age naturally.